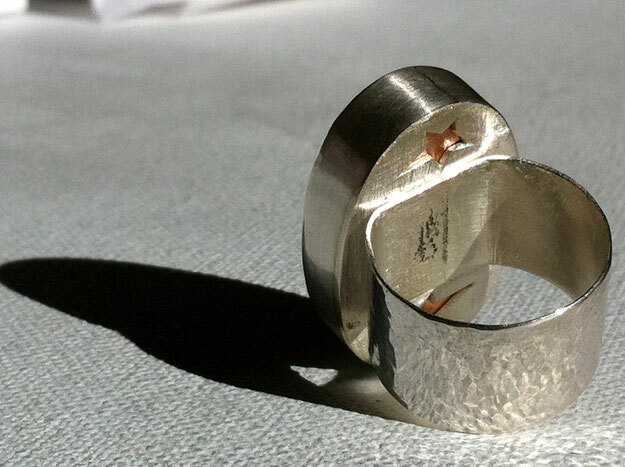 These hollowform rings are fabricated from 20 gauge sterling silver sheet and are made to order. 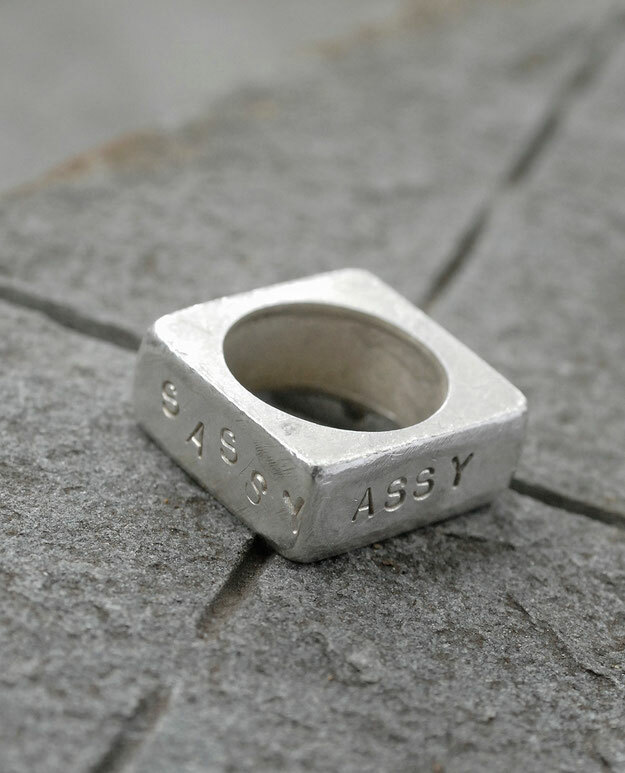 Each face has a different word, or mood, stamped into it, allowing the wearer to project whichever side they wish with a spin of the ring, or allow fate to decide which way is up at any given moment. 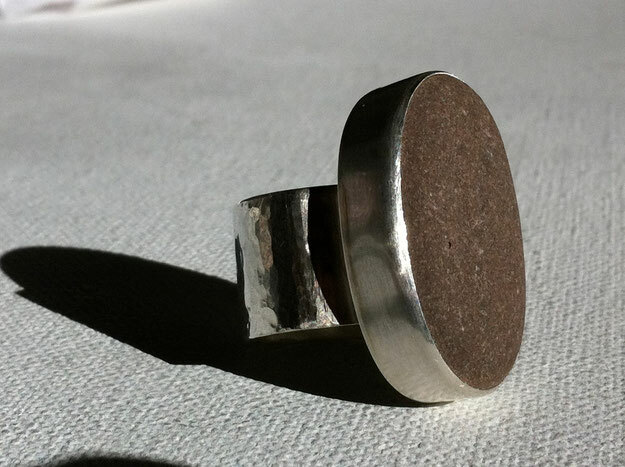 The inner ring is filed and sanded to achieve a smooth curve that is very comfortable on the finger. Image shown was a rough prototype but file marks and satin finish are intentional in order to highlight the graphic nature of the stampings. You can see another one here. 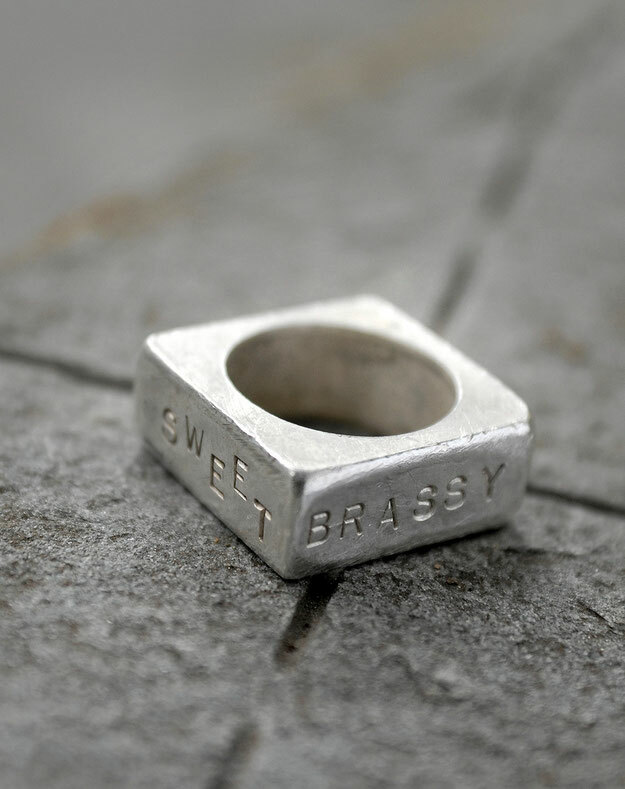 sassy assy sweet n brassy. collection of the artist. 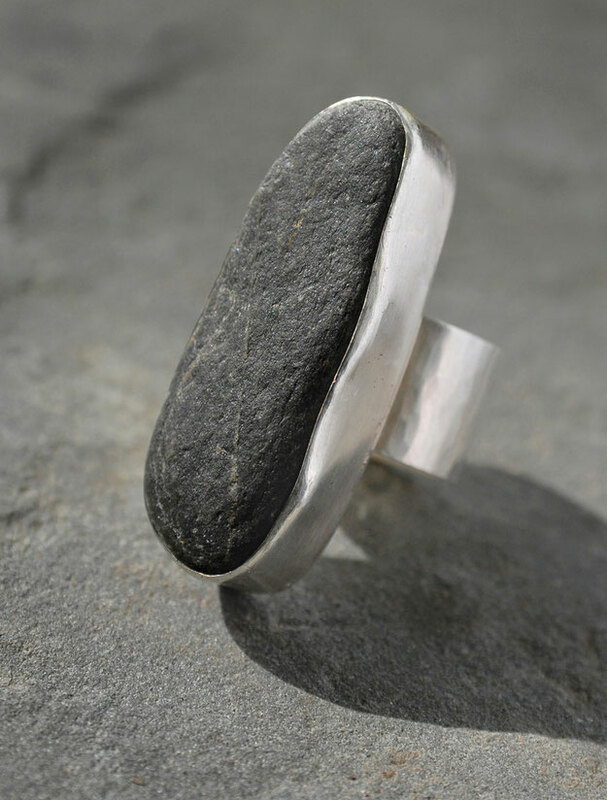 These rings were designed around found rocks and fabricated in sterling and fine silver. By commission only. 2 lights ring. collection of the artist. Niagara ring. collection of Andi Shelton. These rings were made with antique porcelain sink fixtures from sterling and fine silver. I have a few "hot" and "cold" left as well as a couple of "waste" buttons. By commission only. 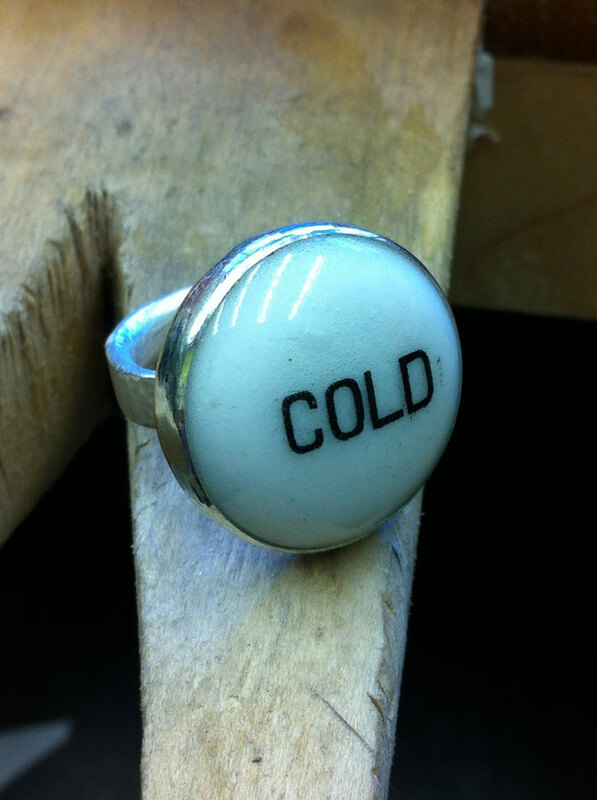 Cold ring in process. Collection of Michele Smith Flattum. 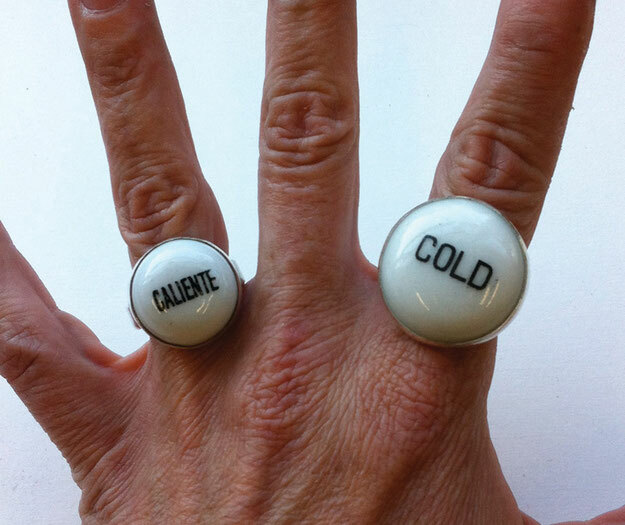 Caliente ring collection of the artist.